You are browsing the archive for 2017 December 11. 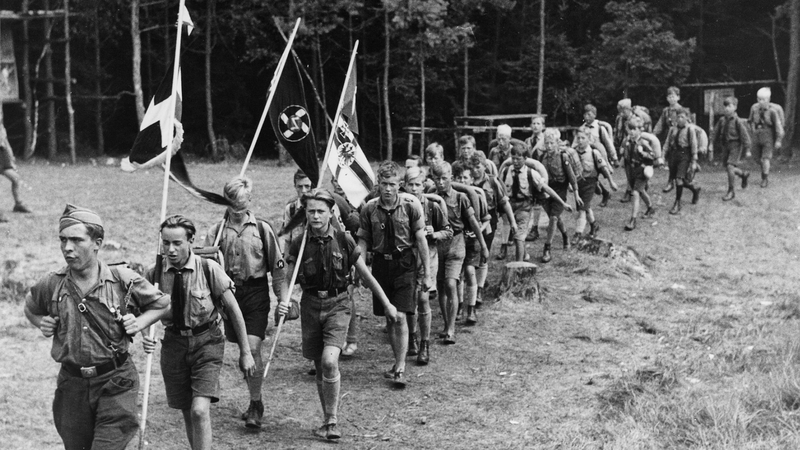 The Boy Scouts’ motto was “Be Prepared.” But nothing could prepare Max Ebel, a German teenager, for what happened after Hitler banned the Boy Scouts. As other boys cheered, the 17-year-old was surrounded by a gang of Nazi Youth—one of whom had a knife. Ebel’s refusal to leave scouting behind had just turned into a fight for his life. It was 1937, and the Boy Scouts were one of many youth organizations on the Nazis’ verboten list. Now, every non-Jewish boy in Germany was required to be part of the Hitler Youth, the Nazis’ youth arm, instead. Ebel, a pacifist who distrusted the Nazis, refused—and paid the price. The Boy Scout was harassed and then attacked by a group of Nazi Youth. In an attempt to force him to join, one of the members stabbed him in the hand. Ebel fought back, grabbed the knife, and cut the other boy’s face. Later, realizing his life was in danger, he escaped Germany and eventually became a U.S. citizen. Ebel was just one of millions of young Germans whose lives were changed by the Hitler Youth—a group designed to indoctrinate kids into Hitler’s ideology, then send them off to war. By the time Adolf Hitler came to power in 1933, hundreds of thousands of kids were members of youth organizations like the Boy Scouts, which was invented in England in 1909 and quickly spread to Germany. But there was also another powerful youth movement afoot—one invented by the Nazis. Since 1922, the National Socialists had had a youth arm designed to train and recruit members for its paramilitary. As the Nazis became more powerful, their youth arm grew.